If you believe in something, stand up! I was out protesting the Bodies Exhibition Cincinnat at the Museum Center with my sister last night for 3 hours. It was pretty cold, but I had everything covered but my feet. Yesterday, dress socks. Tonight, wool socks! Someone asked me what group I was with. Group? I’m a concerned citizen, a normal person just like you. I think that surprised the person. I think she expected me to be some raving lunatic protester. No, I’m just a normal person trying to right a wrong! Found out last night that the Farmingham, MA show closed early due to low ticket sales. Did you know that it was held in a closed CompUSA? The one in Columbus too! Since our CompUSA is still sort of open, they had to use the Cincinnati Museum Center instead. Great job Museum Center! WCPO Channel 9 News ran a story tonight about the Bodies: the Exhibition controversy. My sister Janice and I were both interviewed about the issues. Only a short segment was used of our interviews but I think we got our points across. It was an interesting experience and I was glad to have the opportunity to get the message out to a large audience. However, it might get drowned out by all the TV advertising and billboards the Museum Center has bought. This is going to be a cash cow for the museum and they’re going to milk it for all its worth. Then this exhibit moves on to the next unsuspecting city to rake in millions all over again. Sad. I saw this segment of 60 Minutes last night on the sub-prime mortgage crisis and it’s just scary. I think we’re going to see more pain than what we’ver seen already. It’s pretty clear that a lot of lenders are at fault for chasing after buyers who couldn’t really afford mortgages, but there is a severe lack of personal responsibility of individuals in taking a loan that they can’t afford. But Matt and Stephanie Valdez say they knew exactly what they were doing when they bought a small two-bedroom for $355,000. They could afford the initial payments and planned to refinance the mortgage before the interest rate jumped to 11 percent. But they couldn’t do it because the value of the house had fallen below what they owed on the mortgage. They say they can afford the higher payments, but see no point in making them. “The house keeps going down, payments keep going up. Where’s the logic in that? And how can we fix it? I mean, that’s what this whole thing’s about for us is how can we fix this? And if we can’t fix it, then what do we do?” Matt Valdez asks. “Why pay a $3,200 payment on a 1200-square-foot home? It makes no sense,” Stephanie Valdez adds. “That’s what you agreed to do when you bought the house,” Kroft points out. “Fine. If the value is going up. But we’re not going anywhere. The price or the value is going down. It makes no sense because we will never be able to refinance and get a lower payment. There’s no way,” Stephanie Valdez replies. “You’re saying, essentially, that you’re going to stop making payments on it? You’re just gonna let it go into foreclosure?” Kroft asks. ABC’s 20/20 will be running an investigative report into Bodies the Exhibition on Friday February 15, 2008 at 10:00PM. Â Reporter Brian Ross visited China and has come up with some “amazing” stuff. Coming to a museum near you! Katrina Victims Bodies on Display! Twenty African African-American, unclaimed and unknown victims of this hurricane tragedy are artistically dissected and posed in lifelike educational exhibits.Â See a body’s muscles as they ripple from the exertion of running away from a breaking levee.Â See a cross-section of a drowning victim’s lung to see how much water it can hold before death. Examine the impact of alcohol on a liver of a drunk homeless person. It’s a moving and educational experience! This exhibit does not exist, thankfully, not because there aren’t unclaimed victims of Katrina.Â There are still about 100 unclaimed Katrina victims that are still refrigerated, awaiting burial.Â It does not exist because of the staggering outcry an exhibition like this would bring.Â The public would collectively say that showing the dead in this manner is undignified and against the customs of all cultures. 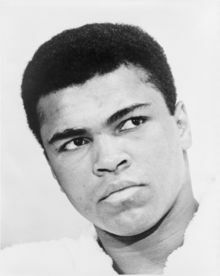 Since the dawn of time, humankind has always treated the dead with respect.Â This respect is so important that the breaking of this is taboo, a shocking and horrific deed.Â The imagery of an American soldier being dragged through the streets or a body of a young black man hung from a tree is unbearable and has mobilized people into action to change the course of history. Add race or religion to this mix and you’d have a total inferno.Â Just the thought of displaying twenty dead African African-Americans without their consent is unfathomable.Â How about twenty dissected and unclaimed Jews? How would you feel?Â How about twenty Chinese? Wait. Twenty Chinese?Â Twenty Chinese on display without their consent. Bodies: the Exhibition, opening February 1, 2008 at Cincinnati Museum Center at Union Terminal, is just such an exhibition. Let’s be clear that this is a for profit show. Premier Exhibitions, Inc.
number of competing traveling exhibitions in the country. Museums with higher ethical standards will not allow exhibits such as this. The City of San Francisco has already banned this type of exhibition and the State of Washington has a law in the works that would do the same. Showcasing the deceased in this manner without their permission is wrong.Â Charging money and profiting from unclaimed bodies is even worse.Â Is it not our duty as humanity to care for those who are less fortunate?Â I think one of the saddest things is to leave this world alone and to have no one to mourn or even to remember you.Â Instead of giving dignity, respect, or even pity, we’ve turned these unfortunate souls into museum displays to roam our country for profit as property for their owners. Consent is critical.Â If consent doesn’t matter then we’d be harvesting organs from all the dead to save the living. It is educational, but the Nazi’s experimented on Jews in the name of education.Â That’s not right . Ethics are important not some thing to be skirted. Let’s end this now and take a stand here in Cincinnati and let the world know that it is not right and not ethical to show unclaimed bodies without their informed consent.Â That it is wrong to show the dead for profit.Â We are better than this, as Cincinnatians, as Americans, as humanity. RedOrbit: Museum Plans to Open Corpse Show in Fla.
Here’s an interesting article that kind of sums up how I feel about the economic “stimulus” handout that the government is planning. I’m all for getting free cash from the government, friends, pretty much anyone, but I really think it’s a short sighted use of money that won’t have a real impact on the problems that are occurring in our economy. James Bond: Quantum of Solace? So who thought of this title? Surprisingly, Ian Fleming. It’s actually a short story written by Fleming that has James Bond, but no action and where he’s not even the main character. Â Wikipedia has a brief summary of the story. James Bond movie plots (an oxymoron?) sometimes have little to do with the the story in which the movie name was taken. Ever wondered what your stuffed bear looks like turned inside out? Well wonder no more! 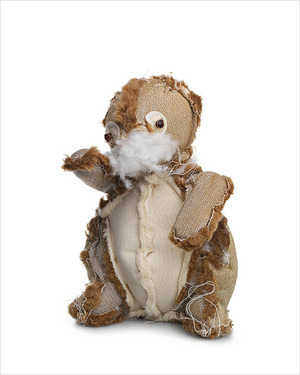 Photographer Kent Rogowski has created a series of portraits of stuffed bears turned inside out. Some are still strangely kind of cute while others are expectedly a bit grotesque. Jo-Wilfried Tsonga. A name I had never heard of before this year’s Australian Open and a name I won’t soon forget. Not after watching some of his destruction of Rafael Nadal, the world’s second ranked player last night at the Australian Open. 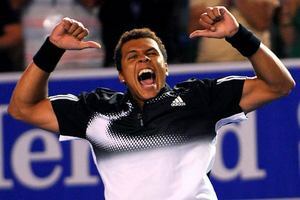 Tsonga reaches a Grand Slam final in only the 5th Grand Slam that he’s played in. For a tennis comparison, I think he reminds me of Pete Sampras and current champion Roger Federer. It’s the same smoothness and natural ability that reminds me of the two greatest players of all time. We’ll see if he has the mental toughness to become a champion on the ATP tour. It’s probably too soon to crown Tsonga as the future of tennis, especially just watching him play one match. But, he was really that impressive. However, great talents come every now and then that don’t achieve the long term greatness predicted of them (Marat Safin). But we’ll get the opportunity to see soon enough to see if the future is now as he’ll get the opportunity to face Federer or Novak Djokovic in the Australian Open finals. I hope they have the funeral in Australia, Heath Ledger’s home country. The members of the Westboro Baptist Church could stand to get outside of their little world. But, I don’t think that the Aussies will take too kindly to them showing up. This just shows you don’t have to go too far to find radical extremism. Oh, and what about “love thy neighbor“? 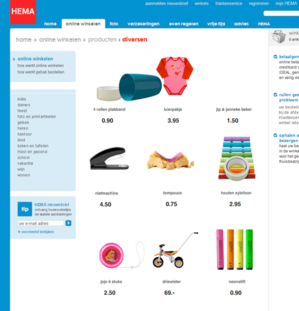 Here’s a neat website with a little shopping cart that’s a Rube Goldberg like contraption. an extremely complicated apparatus that performs a very simple, easy task in an indirect and convoluted way. The most horrible examples of his machines have an anticipation factor, as the machine makes slow but steady progress toward its goal. Thanks to Matt for the original link!